Powered by FACTS/RenWeb, Summit Alert provides peace of mind for families and staff. 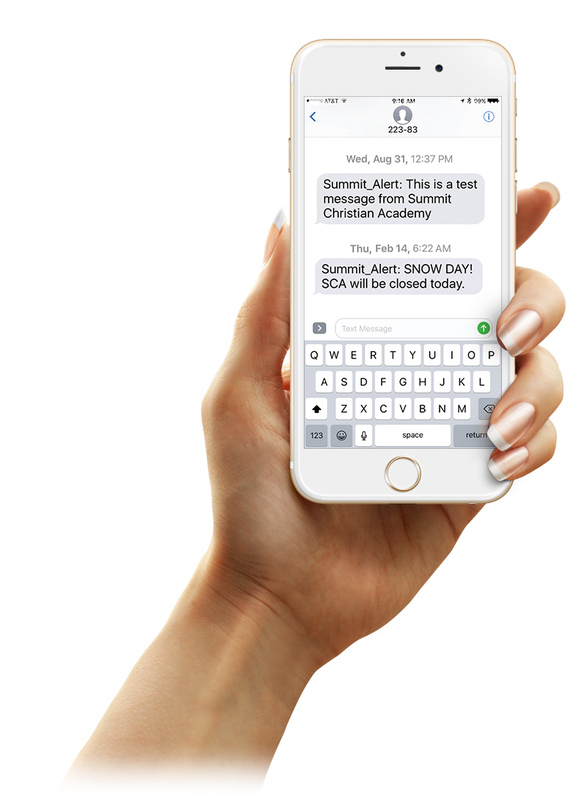 Summit Alert can instantly notify our school’s community of important announcements, reminders, and emergency notifications via text or voice messages. Summit Alert is powered by FACTS/RenWeb School Management System. Your cell number must be on file with RenWeb to receive notifications. You can manage your contact information by logging into your ParentsWeb account or via the Summit’s FACTS/RenWeb Home phone app. Add the following numbers to your phone contacts.